Bold Cow brings comedy, Shakers to Glasgow this September! 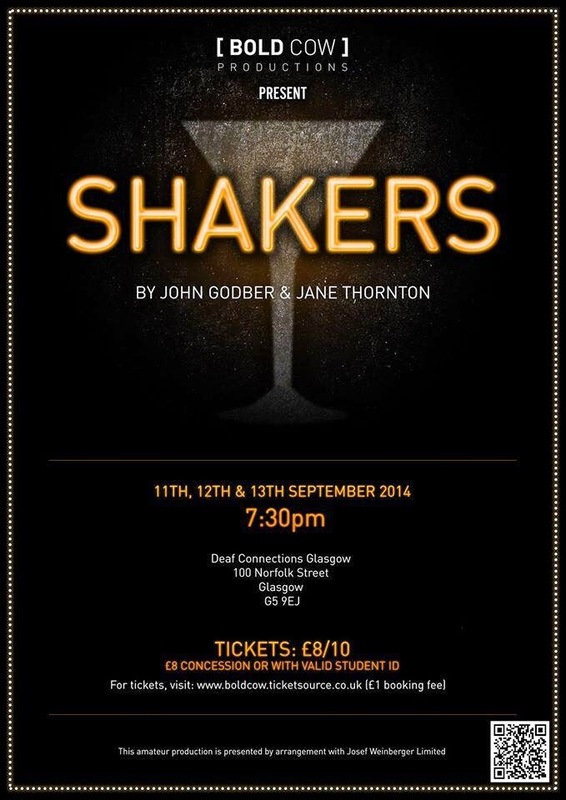 Set in the heart of the 1980s, Shakers is a fast paced comedy which offers an insight into the lives of the customers and staff who frequent the trendy Shakers Cocktail Bar. Written by John Godber (Bouncers, April in Paris) and Jane Thornton, the play premiered in 1984 during the Thatcherite yuppie revolution when old fashioned pubs were being replaced up and down the country with stylish cocktail bars. Following four long suffering waitresses, the play uses quick wit and multi-role-play to reveal the harsh reality of working as a waitress in a cocktail bar. Please note, one performance will be BSL signed. Details will be announced nearer the time.